After unsuccessfully suing the band Smashing Pumpkins for plagiarism, comedian Leo Gallagher has now set his sights on some much-needed book revenue. 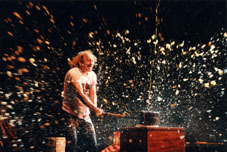 Apparently in 1974, Gallagher tried to liven-up his act by hitting a member of his audience with a large sledge hammer. This did not have the desired effect. After his release from a West Hollywood jail, Gallagher felt more determined than ever to smash something with something else and earn his place in comedic history. After his parole ended, Gallagher destroyed his apartment amidst a dark period known as his ‘pre-melonic phase’. Inspired before a show in Anaheim, he decided to hit an uncooked turkey with a large medieval mace. 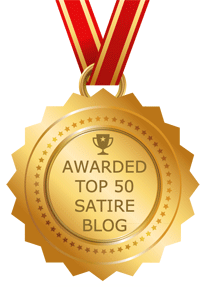 Few people enjoyed the act, however, and one couple from Pasadena contracted salmonella. Despite these setbacks, Gallagher knew he was onto something (besides antibiotics). “Then one day it just hit me,” said Gallagher, “…like a sledgehammer to a watermelon.” History was made that day and then splattered across a great many a venue. Law enforcement officials have indefinitely suspended all of Gallagher’s book signings since last week’s ‘incident’ when an Oceanside man mistakenly dressed as a melon for the event. The fan died outside of a San Diego Barnes & Noble due to severe head trauma.